Rascals Group A riders are working towards their Rascal Gold Award. Rascal Group A riders are mature more skilled riders. Some of them have competed at British Cycling youth race events or other orgaised race events. 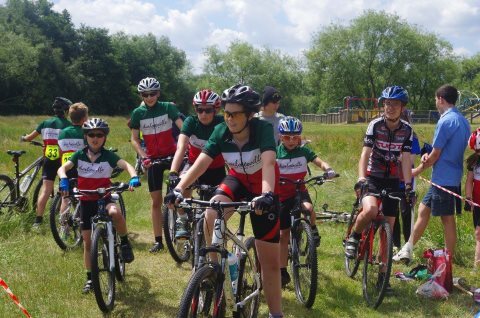 They take part at Rascals Racing & Go-Ride Events for fun as well as to inspire & encourage the developing riders. Rascal A riders are skilled at the Gear 1, 2, 3 & 4 concepts & techniques (do them without thinking). They participate to develop their understanding & hone their skills at the various cycling techniques. Rascal A riders also have the potential to attend discipline specific events the club has access to.